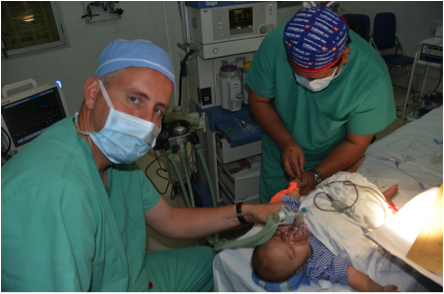 I have been asked to write an article about the humanitarian trips I have taken as a CRNA. For years I was interested in doing humanitarian work, but found lots of roadblocks in making it happen. I finally got hooked up with The International Children’s Surgical Foundation and made it happen. 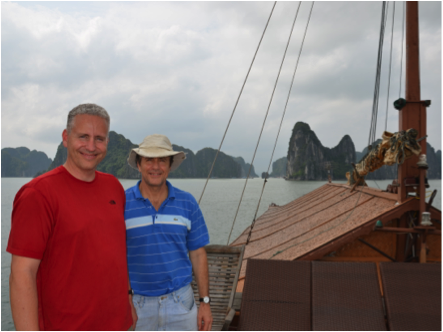 I have since made trips to the Philippines and Vietnam that have changed my life. I will first start off with the roadblocks. It can be difficult to find an organization with which to work. The next problem is that it can be expensive. Most trips run about $2000 to $3000 (tax deductable) out of pocket. Travelling into third world countries can be very intimidating. I faced fears about my own safety as well as concerns about food and sanitary conditions. The next issue can be working conditions. Heading into operating rooms in poor countries, you’re never sure what kind of anesthesia equipment and drugs you are going to find. In the Philippines I found my most important piece of equipment was a precordial stethoscope. Equipment differs greatly from one country to another and from one hospital to another. 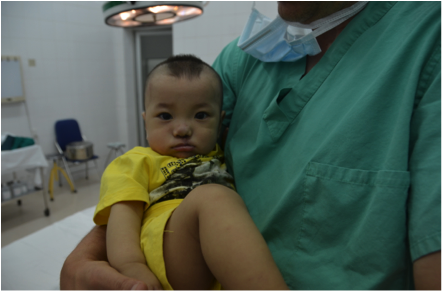 In Vietnam, we practiced in a children’s specialty hospital that had a brand new Drager anesthesia machine. It’s important to do your research, but you have to be prepared for any condition. Another difficulty is finding the vacation time and being away from family. Most trips require at least a full seven to nine days and two weeks works even better. Another difficulty can be long work days. The surgeon I travel with likes to work 12-14 hours per day and it can be exhausting especially taking jet lag into consideration. It took me several months to get past these roadblocks and plan my first trip. 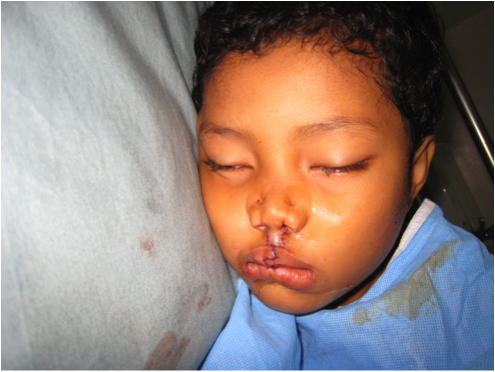 A friend of mine introduced me to a surgeon who runs The International Children’s Surgical Foundation. He works full time traveling around the world doing cleft lip, cleft palate, and occasional burn surgeries. He told me he needed anesthesia help on a trip to the Philippines. I had several months notice so I was able to save the money for my airfare and incidentals. It’s always hard to give up the vacation time, but once I made the trip a priority in my life I found I could give up one week. With the weekend on either side, that gave me nine days to take the trip. Next I researched conditions in the Philippines. I found there were several vaccines and medications I could take to safeguard my health. I went to the Health Department and got vaccines. I also got some prescriptions for Cipro and other medications I wanted to have on hand in case I got sick from the food or the water. I learned that I would overlap with an anesthesiologist out of Boise and I made contact with him. He had been to this location before and knew what kind of equipment the hospital had. Together we made a plan and my confidence increased. Once I had gotten past all of these roadblocks, I found I had to take that leap of faith and head out. My trip to the Philippines truly was life changing. The people there were very poor, but very happy and extremely grateful. 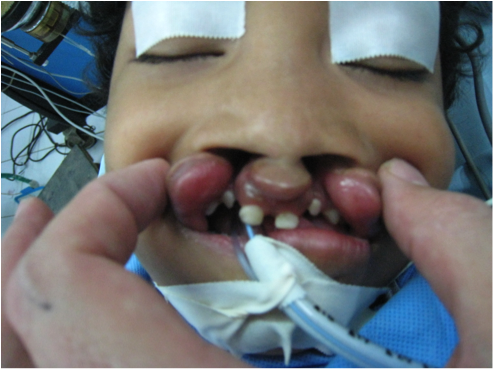 We mainly did surgeries on children four or five years of age. 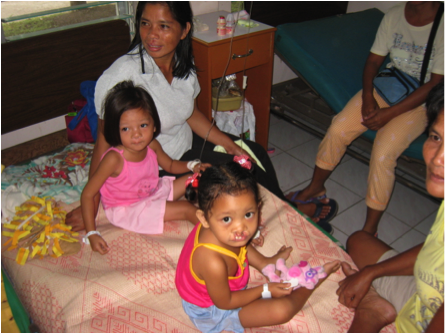 The parents travelled for hours with their children to have an opportunity to get the surgeries they needed. The children were very brave and desperate to have their surgery. We had over 70 kids show up to the preop clinic and we could only do about 30 on the trip. It is so hard to tell kids and their parents that they had to wait at least another year. We had to make some kids wait because of malnourishment and URIs. It is kind of scary at first using old equipment and having geckos in the OR at first, but you get used to it. It is so worth it when you see the dramatic change in these kids. Their mothers cry and cry when they get their first look at their child’s new face. The trip was so rewarding that I immediately started planning my next trip when I got home. The other location I went to was Vietnam. The operating conditions were much better, but we mainly did kids from 9 to 14 months old. It was very interesting being in a communist country as an American. On this trip I overlapped with an anesthesiologist from the Philippines. On this trip, the language barrier was much more difficult to overcome. Thank goodness we had a family practice doctor from Boise with us that spoke Vietnamese and English. Words on paper can’t express my feelings about how rewarding these trips have been. It has been impossible to describe my experiences without making this article 20 pages, so I would love to tell you all about them in person or on the phone. Give me a call or ask me about it when you see me. If you’re interested in doing a humanitarian trip, you just have to make it a priority and don’t let the roadblocks get in your way. It will never be good timing or easy. Once you do one trip, you will be hooked. You will push your clinical practice and be required to problem solve in an unfamiliar environment. You will get to learn about other cultures and how they live.